The Kwantlen Student Association is working on a campaign aimed at saving students hundreds of dollars per semester. For many students, paying for a specific class or textbook is a barrier to achieving a post-secondary education. To address that, the KSA is raising awareness about a growing movement for free, open textbooks and education. At its core, the open education movement is about reducing the obstacles between students and education. Open education textbooks are published under creative commons licenses by non-profit organisations such as the B.C. Open Textbook Project and can be downloaded for free by students and instructors. Unlike traditional textbooks, open source textbooks can be modified and adapted for individual needs by instructors before they are assigned. Singh and Jhangiani both point out that research shows a significant portion of students don’t buy the required textbooks for their classes largely due to inability or unwillingness to foot the bill. 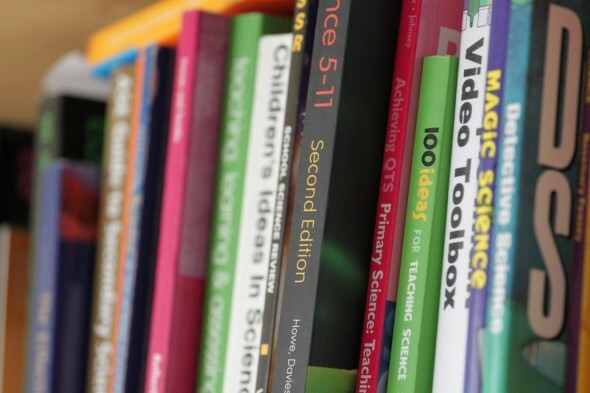 Unsurprisingly, students who don’t buy textbooks were found to do worse than students who do. Jhangiani says that, over the last few years, textbook costs have skyrocketed at more than three times the rate of inflation, and that a growing body of research shows that open education resources lead to an increase in course performance and knowledge retention. “At KPU, we’ve found that our own students are performing better with a free textbook than with paying $200 for a textbook,” says Jhangiani. According to Singh, a major focus of the KSA’s campaign is to bring attention to open education resources as a viable and preferable alternative to traditional, for-profit textbooks to both students and staff. To that end, the campaign will include information tables at KSA organised events beginning at the start of the spring semester. The KSA is also planning a social media campaign that will have students sharing photos of themselves holding signs with the amount they are spending on textbooks. Open education has been growing in popularity ever since the provincial government launched the Open Textbook Project in 2012.. Currently, KPU offers more courses that utilize open education resources than any other university in B.C.. The only Canadian study on the efficacy of these resources was done at KPU last year. While there are now hundreds of open textbooks available for post-secondary courses in the province, there are still hundreds more with no open option. The selection of open textbooks is particularly sparse for third and fourth year courses. Traditional textbook companies and their promotion machines also represent a challenge, as they employ great resources for marketing themselves to professors directly and recognize open education resources as a threat to their business model. The biggest problem, however, is the need to raise awareness among students and faculty of the open education resources, which is where campaigns like the KSA’s come in.